Every other year at Hannover Messe, fluid power manufacturers showcase innovative technologies that advance the industry. With this year’s theme of “Factory of the Future” smart technologies rule. Read them all here, beginning first with a new design from Bosch Rexroth. And stay tuned in the coming weeks as we take more in-depth looks at these new technologies! The new CytroBox from Bosch Rexroth brings hydraulic power-unit technology into the 21st century. It features a variable-speed drive, axial-piston pump, integrated sensors, internal cooling and a 3D printed manifold — and it runs quiet, all in an eye-pleasing package that looks more like a household refrigerator. It also connects fluid technology with the CytroConnect IoT package as a standard feature, for high availability and lower maintenance costs. The Seal Group of Parker Hannifin has developed new ParCoat coatings that ensure smooth and reliable installation of seals. They are suitable for all commonly used elastomer grades and facilitate assembly by minimizing friction and installation force, without affecting seal properties or life. The coatings are available in various colors (and transparent) and serve to mark products, avoid mix-ups and even match a customer’s brand identity. The booth of Hunger Hydraulics sported a colossus-size cylinder for use in flood-protection gates. It has a retracted length of 12 m and 8 m stroke. 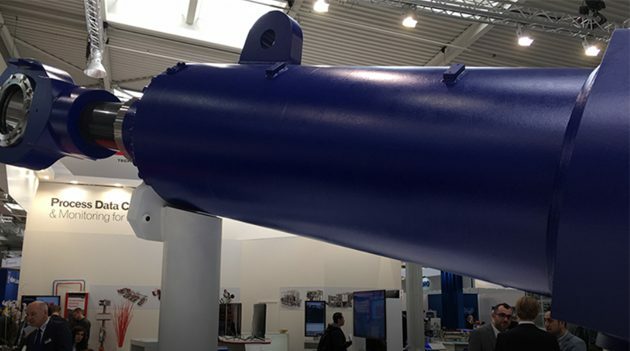 Overall diameter is 1.2 m, rod diameter is 400 mm and it weighs 44 tons. Force output is 950 tons! Entek mounts sensors in critical areas on its hydraulics systems and uses the data in IoT-enabled fluid-power applications. It’s based on PTC’s ThingWorx platform, which lets users monitor and actually “see” conditions. It also gives maintenance technicians visual instructions to help diagnose problems and disassemble complex parts of a hydraulic system. Rochu’s soft grippers are based on bionics. The elastomeric fingers can adapt to varying shapes and handle delicate objects without damage. They’re powered by a pneumatic drive, where positive pressure or vacuum is used to close or open the fingers. Gripper strength is adjusted by air pressure. Finger lengths range from about 12 to 260 mm. Hydac’s new Tank Optimization return-line filter range significantly improves degassing in a hydraulic system. The new ﬁlters (based on an in-to-out principle) reduce the amount of air in oil through a special degassing process, and they also enable a signiﬁcantly smaller tank size. Both OEMs and users save thanks to less material, oil volume and weight. Engineers at Argo-Hytos displayed their concept of what a filter will look like in the near future – one that will be “intelligent” in determining when it needs to be changed. Instead of waiting until a filter element is spent, it senses pressure and temperature and determines hours of remaining life. It adapts as flow or contamination levels change and revises its predictions accordingly. The system also recognizes if the bypass valve activates and will send an alarm to a cell phone or other device. 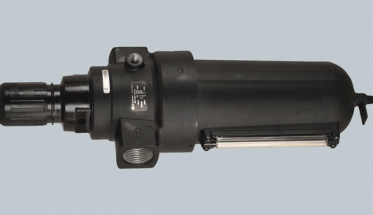 Schmalz added the new CobotPump Mini to its line of electrical vacuum generators. It is designed especially for the automated handling of small parts with a single suction pad, such as on collaborative robots with a lifting capacity of up to three kilograms. 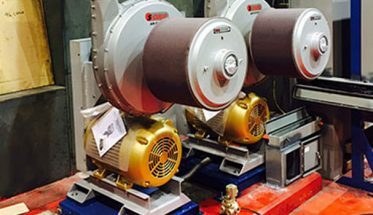 It produces vacuum of up to 400 mbar and a suction rate of one liter per minute, without the need for conventional hoses and compressed air. It measures just 63 mm in diameter and 56 mm high. For the simple and inexpensive control of a proportional valve, Wandfluh has developed the digital amplifier electronics PD3 unit. The device can mount directly on a solenoid or connect to a standard coil with a cable. 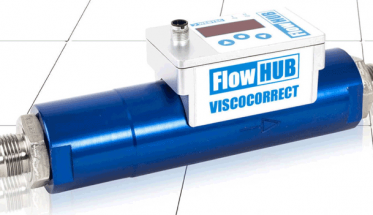 It has an IO-Link interface and provides digital communication to transmit operating parameters, diagnostic data and commands to the valve control. With the IO-Link interface, the PD3 is suited for IoT and Industry 4.0 functions. Previous Article The excitement of taking a new product to thousands of people.